On 27 March 2014, the European Court announced its decision to reduce from €880 million to €715 million, the fine imposed for cartel activity upon subsidiaries of the Saint-Gobain Group and its parent company. The fine had been the largest ever imposed by the European Commission, for participation between 1998 and 2003 in the car-glass cartel. 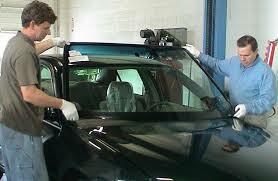 In 2008 the Commission fined four car-glass makers €1.3 billion for participating in a cartel between 1998 and 2003. Saint-Gobain had been the subject of previous Commission decisions relating to similar infringements in 1984 and 1988. The 2006 Fining Guidelines give the Commission the power to increase fines by 100% for repeat offending, even if the infringements took place long before the existence of the cartel in question. In this instance, the Commission increased Saint-Gobain’s fine by 60% for earlier violations. However, the European General Court decided that, for repeated infringement to count as an aggravating circumstance, the infringements must have been committed by the same undertaking. Since the 1988 decision concerned a different subsidiary of the same parent, it was decided that a finding of repeated infringement applied only to the 1984 decision. The Court pointed out that the passage of a long period of time since the adoption of an earlier decision may make it more difficult, if not impossible, for the parent company to contest the circumstances upon which a finding of repeated infringement was based. This entry was posted in Europe by Michael O'Kane. Bookmark the permalink.